What makes you think Best Motoring modifies the cars, punk? They often test tuner cars built my tuning companies such as Spoon Honda's but they NEVER cheat by modifying the stock cars. At least back your claim up when trolling. The standard GTR R33 was the first production car to be able to break the 8:00 barrier at the Nurburgring when it was realeased.The R33 GTR was the first production car in history to lap the Nurburgring Nordschliefe in less than eight minutes. This is over 10 years old now, so the times/acheivements speak for themselfs of the era. 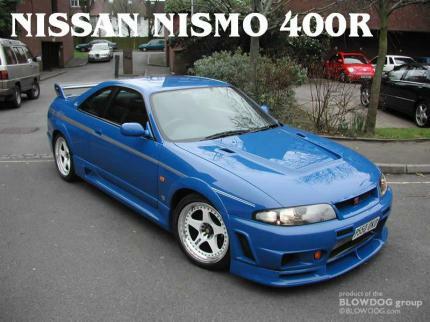 This car was a based on the R33 GTR Vspec and improved on to be a factory road going car, although very Limited in numbers, this is a definently a stock car. still running standard boost etc. it could be improved on easily. Man if this was lighter,it would have rocked the racing world!!!! this is no where near cheaper than a gtr!! Wow only 2seconds behind the GTR, with a cheaper model, thats not saying much for the techno packed GTR. watch the end of the movie. Adam is a tard...hahahahh and yes, quite awesome!! Aadm YOUR THE STUPIDONE, if the R33 can acieve a 7:59 why wold this one thats has more power beter suspension and brakes be 11 seconds slower?? Retard!! This car beat a hell of a car on the track and the porche did a 748 at nurburgring so i would say 750 is a good guess! this car would probably get 8.10 at the nurburgring no offense or any thing but your 7.49 estimate is a stupid estimate ok.this is a poor qaulity sport's car with just 400hp stuffed into it it's know where near as good as any lotus or audi out there. ANY guess on Ring Time??? id say 7:49?? Of course its street legal..lol and there are plenty of non R35 Skylines in america..
that is an incredible lap time at tsukuba, its quite impressive. Thats good enough for me. Was the 400R ever sold as a stock car by Nissan or is it a tuner car?